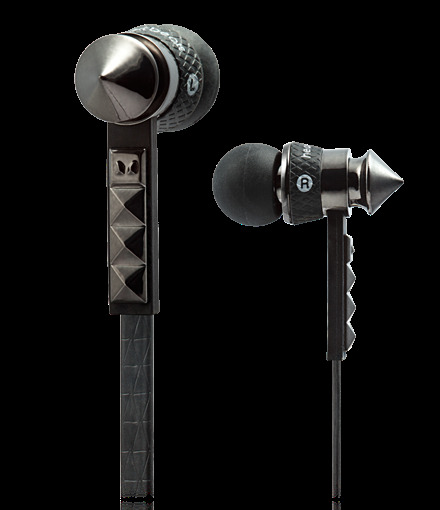 These rock chick looking in-ears, inspired by metal, leather and studs, are Lady Gaga's 'Heartbeats' - the latest high performance headphones to be produced for Dr. Dre's Beats range. Available in white or black, they are ultra light and come with five ear tips, all packaged in a travel pouch for £119.99 online. 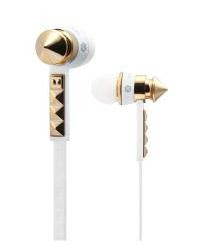 The headphones work with smartphones and PDAs as well as MP3 players and the allegedly superior sound quality also helps justify the hefty price tag so, if the quality is as good as they look, I really hope some she designs some 'over-ear's soon. Another style win for Gaga.